A Jar For the Bathroom! Now that the year is coming to an end, I wanted to take a moment to recap our most viewed coconut oil uses for 2015. If you’re not familiar with this healthy fat then it’s definitely a must-try! Coconut oil is a plant based saturated fat, which is generally used as a replacement for butter or oil when cooking and baking. When using coconut oil in a recipe, you simply replace it in a 1:1 ratio. Example – ½ cup of butter would be substituted for ½ cup coconut oil. Coconut oil is also absorbed differently than butter or olive oil, so instead of being stored for fat, the medium chain triglycerides which are in coconut oil are utilized as an energy source. Because of this, you may hear people say that they have increased energy levels, especially if consumed in the morning or before a workout. Along with consumption, coconut oil may also be applied topically. Now this does not just pertain to adults – babies, children, and even pets are able to have coconut oil applied to topically. You might just hear most women talk about the beauty uses of coconut oil, which is absolutely true as well! From a makeup remover to hair masks, coconut oil does it all. 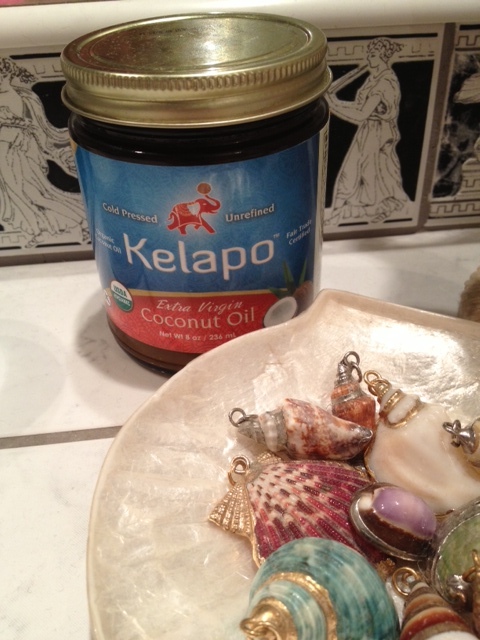 Coconut Oil and Pets – See, I told you that coconut oil can be used on your furry friends! Both my cat and dog actually love to eat coconut oil straight off the spoon. My Italian Greyhound has very sensitive skin, so I massage coconut oil into her skin on a nightly basis to keep her staying itch-free. Try our homemade dog treats for an all-natural alternative that your pups will go crazy for. Homemade Cough Drops – Coconut oil contains anti-bacterial and anti-fungal properties, which makes it so intriguing to use when sick. We went back to the basics with coconut oil and honey to make homemade cough drops. I loved this recipe because it’s a great way to soothe your throat when sick, as well as getting in a serving of coconut oil with a great taste! Be sure to also visit our top 5 ways to fight cold and flu season with coconut oil. 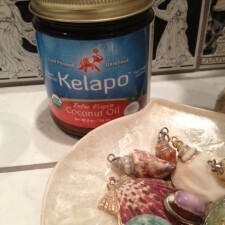 Tattoo Healing – Now this goes back to our discussion of using coconut oil topically since it’s an amazing moisturizer. I personally don’t have tattoos; however I was with the author of this blog when he had his done and used coconut oil on it religiously. I can say that it made all the difference with his healing process, peeling, and vibrancy in color. Sun Burn Relief – Another topical wonder for coconut oil is sun burn relief and believe me on this one, it definitely helps! Living in Florida, I have experienced multiple sun burns and have always turned to coconut oil to aid in reduction of inflammation and redness. Try this Aloe Vera and Coconut Oil Gel for added relief! Beard Softener – Alright men, this is proof that you can be just as obsessed with coconut oil as us women are! Using coconut oil on a daily basis ultimately can aid in softening and taming that messy facial hair. The ladies will be sure to love your new look! Do you have a favorite coconut oil use? Let us know how you incorporate this jack-of-all-trades into your daily routine!